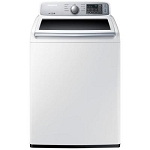 Discount Appliances in Greensboro, Winston-Salem, High Point, NC, & All Surrounding Areas! 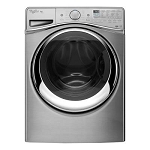 We have both front-load and top-load washers available in a variety of brands, including Maytag, Whirlpool, GE, Samsung, Frigidaire, Roper, & more! If you are currently in the market for a new washer and are unsure about which style is right for you, scroll below to see some of the possible advantages and disadvantages of each. Easier to use/better on the back and knees. Depending on whether an agitator is present, these can clean better and clean more clothes at once. Tend to wash clothes faster. Can be rougher on clothes. Can have a difficult time washing large items such as comforters. Generally, produces a higher quality clean for your clothes. More energy and water efficient. Can be stacked with a dryer to save space. Generally, these spin faster, which means less water on your clothes and less time spent in the dryer, but a louder noise. Mold buildup around the rubber gasket, which means more maintenance is required. 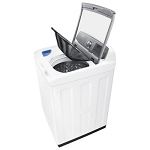 Be advised that this information varies depending on the style and brand of washer. Scroll down to see our available products. If any interest you, click through to learn more details or give us a call today!